From the fjords of the north to the rivers of the east come the longships of the Vikings. 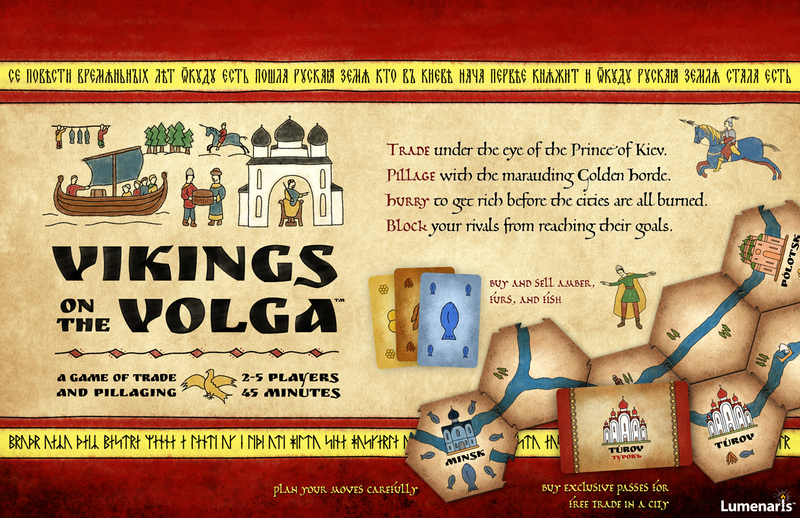 Seek your fortune in the lands of Russia, trading under the watchful eye of the prince of Kiev, or pillaging with the Golden Horde. 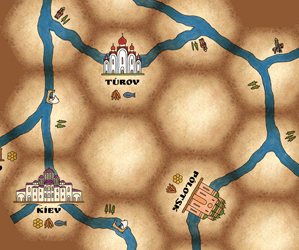 Players take turns sailing down rivers, trading goods, bribing officials, and looting cities. Careful planning pays off, but when things go wrong you can always go a-viking. 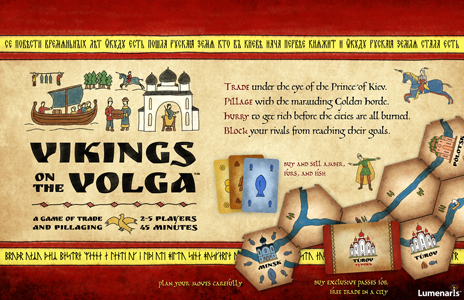 Vikings on the Volga™ is a game of trade and pillaging for two to five players. It is best for ages eight and up, taking about 45 minutes to play. An example of how the board can come together. The city of Polotsk wants to buy amber. 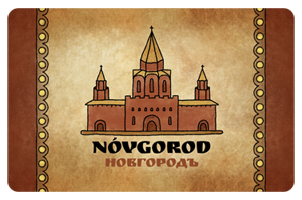 A pass allowing free entrance into Novgorod. The rules are available for download in .pdf format. 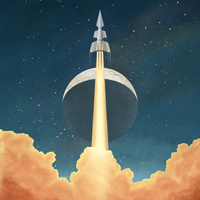 See this game's entry on boardgamegeek.com.